Standing amidst the cacophony of Rome’s Piazza Venezia, Trajan’s Column slips easily into the lively frenzy of tourist and city buses, excavation sites (both archaeological and infrastructural), and traffic (pedestrian, auto, and motorino). As anywhere in Rome, these networks of transit, commerce, and artifacts are layered as thickly above the streets as they are buried beneath them. Through this earth rich with aggregate imperial desires, Mussolini carved an axis connecting his Palazzo Venezia office (and underground bunker) with the Roman colosseum, revealing and dividing two sets of ancient cellular plazas, the Imperial Fora and the Republican Fora. Along this axis, anchored by the column, sits Trajan’s Market, an imperial complex carved into the side of one of Rome’s celebrated hills. The column embodies, epitomizes, and ultimately monumentalizes the contradiction between Rome’s desire to locate through centering and the persistence of the unknowable (but not placeless) space of the city. This material sense of the known vs. the unknown can be easily related to the multiple understandings of the architectural term poché. From an architectural perspective, poché includes not only the “pockets” of thickness contained within massive masonry walls, but also the types of functions that are sometimes buried within, such as staircases, servants’ quarters, secret corridors, etc. Because it is hidden, literally or experientially, poché denies an understanding of dimension, geometry, orientation, and ultimately of location itself. 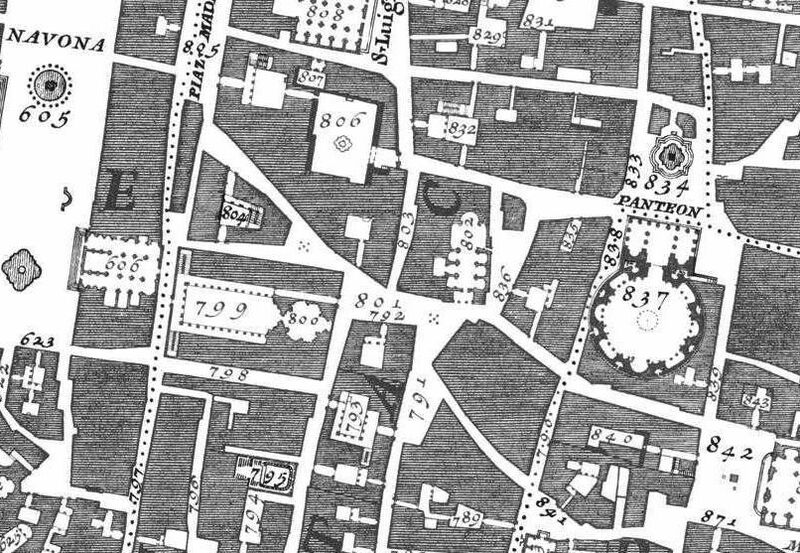 The drawing techniques found in Giambattista Nolli’s 1738 map of Rome clearly demonstrate several different understandings of this term. At the level of representation techniques, poché is the intense repetition of hand-engraved lines used as infill within an outlined form to produce a field of gray. In his famous plan of Rome, Nolli’s rendering of the Pantheon reveals a differentiation between two different tones of poché, the darker used to represent true mass or thickness such as the stone masonry of the Pantheon’s at moments 20-foot-thick walls. The lighter tone of poché is used almost everywhere else and ambiguously refers to a condition of opacity, which may be one of solid material thickness, or may indicate a conceptual thickness—spaces either unknown or off-limits to the public. 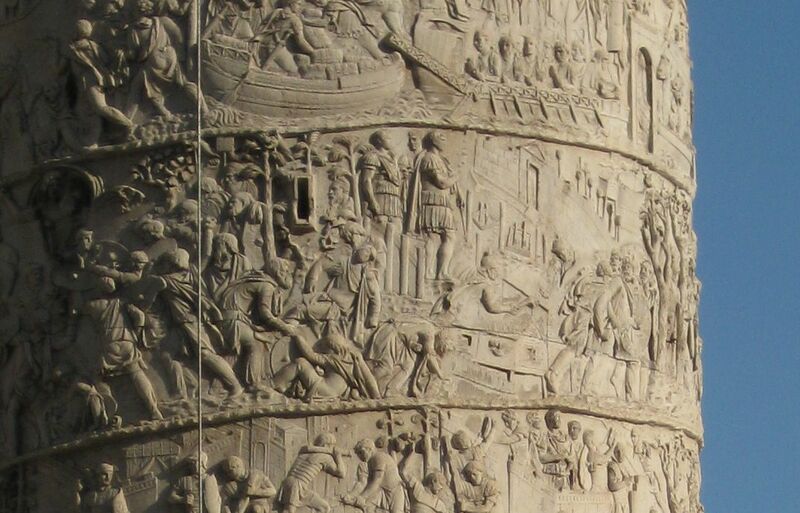 The experience of Trajan’s Column shifts between these different conditions of poché. 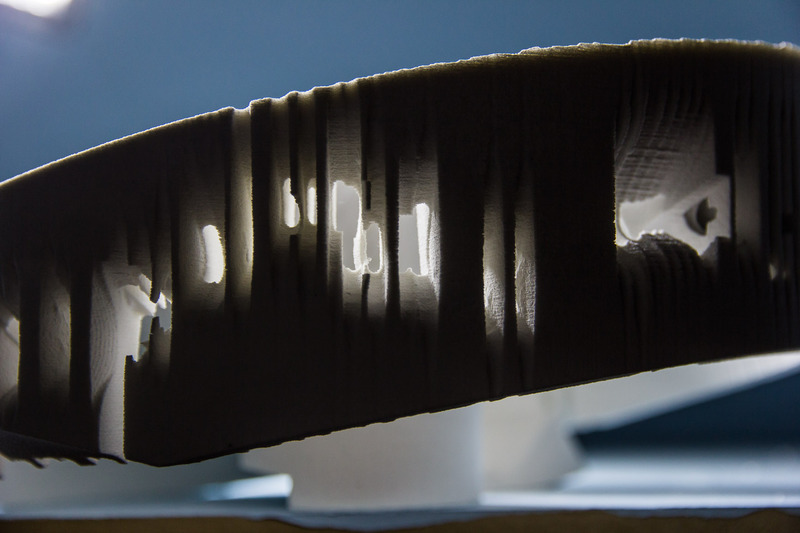 The chiseling techniques used to excavate the stairs and apertures within the shaft create a chiaroscuro microlandscape of texture: at each moment where outside light pierces through the windows, an intense field of pattern much like Nolli’s engraving techniques is created. This association with landscape connects the thick marble drum to the quarries of its origin in Carrara. More significantly, within this extensively documented city, the interiority of the column is not only literally hidden from view, but exists as a material lacuna in the consciousness of Romans and tourists alike. Conceptually, the nomenclature of the “column” seems to register only as an architectural element, denying the possibility of internal habitable space. More mass than void, Trajan’s Column oscillates between architecture and architectural marker—between fissure and monolith. 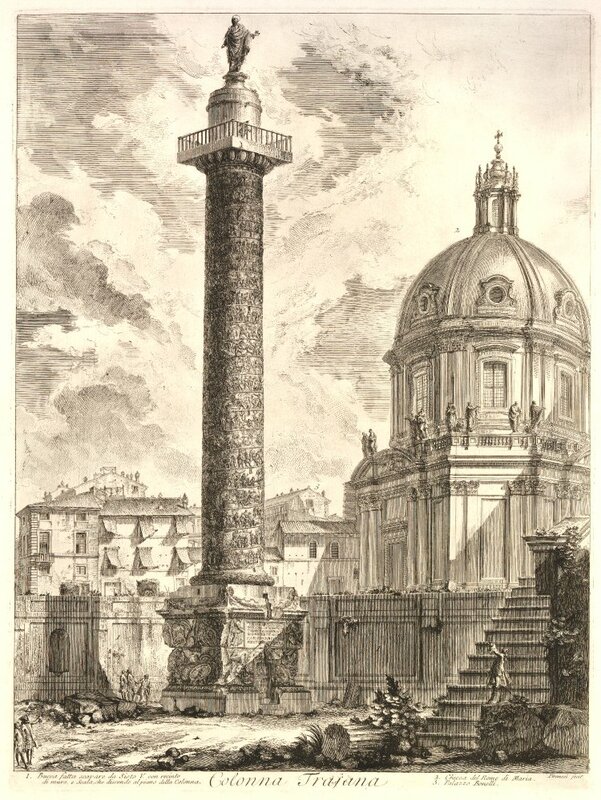 While the slender column operates as a spatial marker like the myriad other obelisks, fountains, and statues that mark the center of so many of Rome’s piazzas, it could also be seen as a compression of all the material contained within its purview, as if it replicated the centripetal tendencies of the Empire, gathering and compressing so much mass from afar. Trajan’s Column shares a similar diagram as Hadrian’s Mausoleum (now the Castel Sant’ Angelo): a massive cylinder with internal helical ramp. But while Trajan constructed what would become the resting place of his ashes in 113 CE, 17 years before his second cousin’s mausoleum broke ground, it could be imagined as a dwarf-star version of the latter, condensing all the material of the grand earthen drum while maintaining the central void excavated to house the body of the Emperor. The variable densities implied here would offer a radically different take on Nolli’s map of Rome. With this conceptual density locked within its marble walls, more than any other monument in Rome (and perhaps the world), Trajan’s Column operates as a monument to and tower of excavation. With the exception of the significant and much discussed act of stacking 20 drums of marble, each weighing 2 tons, the power and nuance of this monument is due to the successive removal and reduction of material—from the quarrying of the marble, to the voiding of the internal spiral stair, the carving of the 43 window apertures, and the chiseling of the bas-relief frieze. 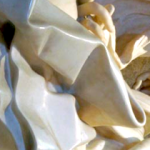 While assembly seems to connect to location through desire or will, excavation is more rooted in material acceptance and exigency—embodying the readiness to work with that which is found rather than imposing that which is desired (through the literal importation and assembly of disparate elements). In Bachelard’s subterranean space of the cellar, the act of excavation connects each individual location through the common medium of soil; here, the abstractions of geometry, geography, and distance are swallowed by the maw of the earth. What better way to connect the aspirations of the tower to the actuality of the earth (albeit an earth originally 250 miles away in Carrara), while its narrative describes the conquest of a landscape (and people) over a thousand miles away? Like so many other archaeological spaces, the column offers a thick buffer against the harsh light and sound of the contemporary city, although here, rather than descending into the damp must of the historical dig, we instead spiral upward, simultaneously leaving the earth while becoming more aware of its cool, massive solidity. This projection of excavation out of the earth allows for a simultaneity of vision afforded by elevation (the ostensible raison d’etre of the column) and by perforation: it is a tunnel with a view. But the set of windows offers an experience quite different from the aerial one, as the column drum could be understood to operate as a thickened zoetrope, filtering out the gestalt of its context while assembling an animated coral-like aggregation of fragments, vignettes, and details. The overexposed cityscape of contemporary Rome is glimpsed through a radial mineral sponge—the baroque domes of Santa Maria di Loreto and Santissimo Nome di Maria, the turn-of-the-century classicism of the Altare della Patria (Il “Vittoriano”)—as jump cuts framed through the deep marble proscenia. 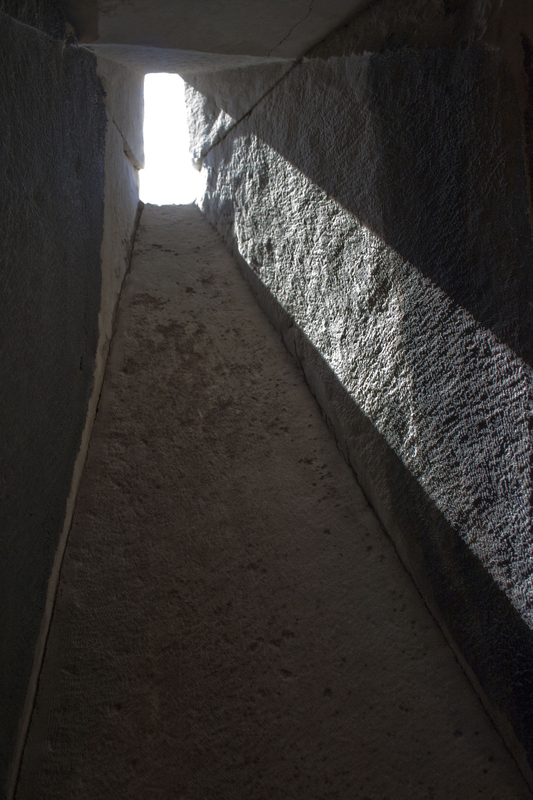 As the embrasure expands each window aperture from exterior graphic rectangle to capacious wedge of interior space, the pattern of chisel marks highlighted by the oblique light raking across the stone surfaces creates a set of miniature mineral landscapes. As these interior pocket grottos encounter the exterior bas-relief, itself an illustrated narrative of territory and its acquisition, they maneuver themselves into the gaps between soldiers’ bodies, stretching to stand in for a cavalryman’s shield, or morphing into the background of the relief’s vernacular architecture. At other moments, the specific location of a window aperture in relationship to the assembly of the columns’ giant stacked drums creates an intersection of window and seam, one slowly eroding into the next over the millennia. These local “aberrations” produce a set of similarly sized rectangular apertures, each uniquely modified according to its context within the unfolding story of conquest and within the tectonic assembly of the monument—so that an expert scholar of the column could locate his or her exact location within this speculative zoetrope based solely on the signature profile of each window aperture. Rome itself operates both as a center of fait accompli rational planning celebrated by historians and as a subterranean labyrinth of fluid potentiality. The liquid association here is apt, as the massive earthen heterogeneity of this deeply layered city is in fact due to the walls of Rome operating as a mold into which the Tiber would deposit successive layers of material history, trapping and burying millennia of artifacts of all scales within this urban-scaled “cast.” The hidden spaces of the city—ancient aqueducts and sewers, the thickened double-shelled domes of the baroque, and the secretive spaces of sects and curiae, off-limits to the public—conspire to create an extensive complex of irrational, unknowable spaces equal to those more clearly hierarchically ordered. Trajan’s Column constitutes an appropriate, albeit unintentional, monument to the dual nature of this city—studied, interpreted, and idealized and yet persistently thick, opaque, and massy. While the column’s observation platform surveys and surveils through a rational understanding of territory, its material presence connects us to the less rational underworld extending just below the surface of that very terrain. This alternate reading of Trajan’s Column was extrapolated from the artifact left to us, existing quite independently of the possible desires of its architect, Appolodorus of Damascus. 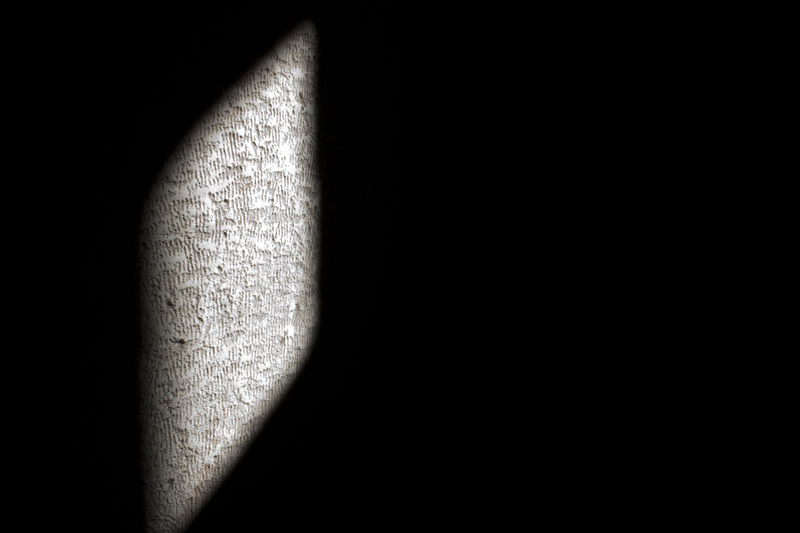 Trajan’s Hollow, an ongoing project initiated at the American Academy in Rome, attempts to extend this trajectory through a series of intensely material “reproductions” of the column, each exploring an aspect of the above agenda in a way the original could not. If the material of history could be used as a filter through which to reinterpret the current surrounding context, would our understanding of empire and territory shift? Although the “place” of the kingdom of Dacia was obliterated, or at least buried, by the gerrymandering of military and political conquest, misreading Trajan’s Column could introduce a porosity to the Roman notion of imperial space so that it might be infiltrated by the subjective space of the topos. This intense interiority, focused more toward experience than governable dichotomies of inside or outside, might offer a simultaneity of idealized abstractions and specific material events. Joshua G. Stein heads Radical Craft (www.radical-craft.com), a Los Angeles-based studio that investigates urban and material patterns through a focus on the intersection of traditional craft and contemporary technology. He was a 2010-11 Rome Prize Fellow in Architecture, and is currently an Associate Professor of Architecture at Woodbury University.